Nordstrom has got this chic B.P. 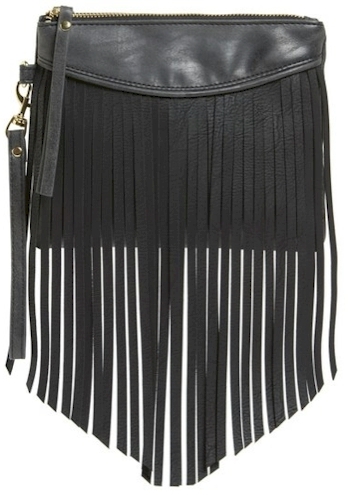 Fringe Faux Black Leather Wristlet for $9.98 with free shipping and free returns. It's 8”W x 6½”H x 1”D.